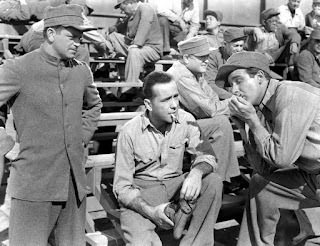 This lesser known Humphrey Bogart film seems, from what I can find, to be noted, when at all, for being the last time the star portrayed a criminal prior to his penultimate film The Desperate Hours. But The Big Shot deserves to be a bit more famous. 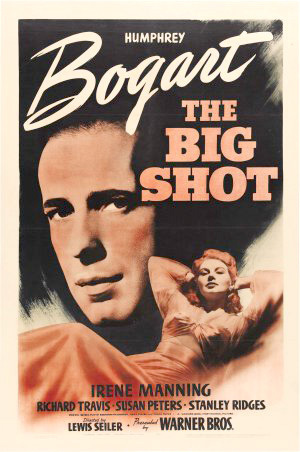 It is a good Bogart film, if not a very good one. There are a couple of aspects that stand out. The story is one. Though it seems a straight forward tale of crime and criminals, it’s a contrast to many in that the protagonist doesn’t have it all his own way. In fact, almost everything he does backfires or causes problems for people he never intended to hurt. 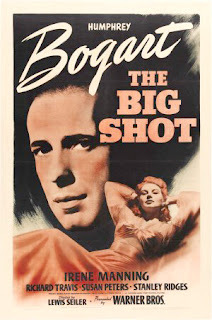 This is the premise of The Big Shot From the opening scene, with Bogart lying in a hospital bed, there is a sense of doom hanging over the main character; a grim sense that once he makes a particular decision, events went awry. 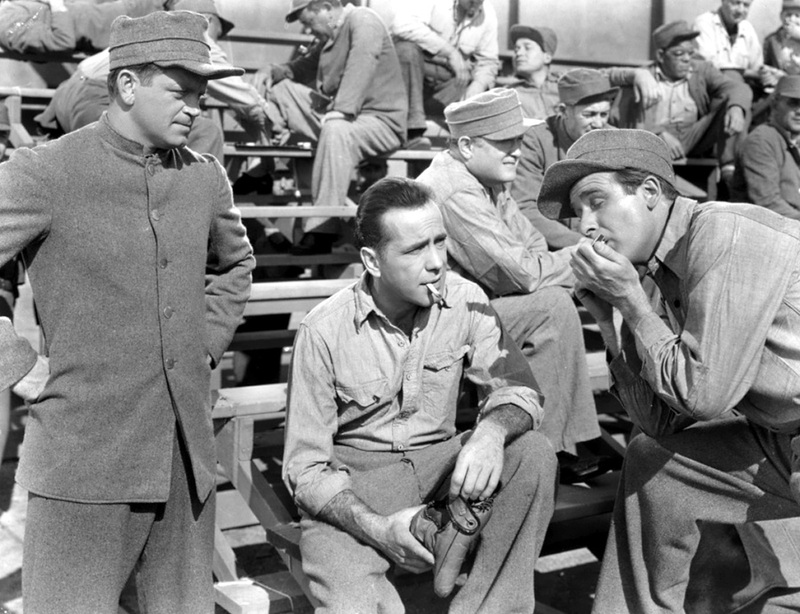 This is heavily foreshadowed when Bogart mutters, in self-derision, that he was a big shot, someone who figured all the angles. The viewer realises - as the protagonist now realises - that when a man thinks he knows everything, he in truth knows little. A great deal happens in the film. In eighty-two minutes, there are a failed armed robbery, fugitives on the run, a rigged trial, betrayal, blackmail, a prison-break and an extended car-chase. The viewer really has the sense that much is happening to the characters, and they are not getting a breather. The second aspect that raises The Big Shot above expectations is the action. Though 1940s movies often had plenty of gun-play, this has more stunt-work than was normal. The robbery features a car-crash of a sort unusual for the time, and the climax is a chase down a wintry highway in which all the skids and twists were probably not intentional. The acting is capable, with the cast filled mostly with players who are no longer famous, if they ever were. Howard da Silva (who has been in three or four films I have watched recently) is probably the best known of the supporting players, but all are convincing. 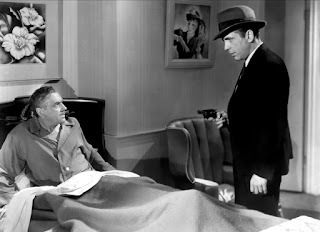 Bogart, of course, could make such movies watchable in his sleep, and his role is not a stretch for him. But, while we’ve seen his character suckered in other films, they usually end with him besting his foes. In The Big Shot it doesn’t quite work out that way, as his worst enemy is himself. It’s a bit of a change for Bogey, and worth a look. my grandmother and I were; well, I still am; big fans of the B/W films...we were channel surfing once and saw the start of Casablanca on the air; believe it or not neither of us had seen the movie prior to that time frame, and we came in on the movie late; I think back then "credits' ran first ?? 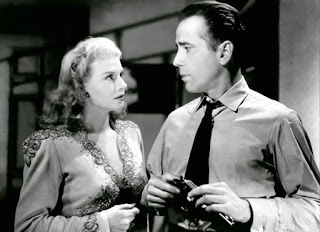 for the life of us we could not recall Bogart's name; big time brain freeze...and after I'd left and traveled back home, I asked everyone at my then place of employ; who starred in casablanca to which everyone replied Bogart. I called my gram long distance to tell her....and boy did we feel like fools; not to mention we didn't particularly "like" that film !! I love the old films, and yes, “Casablanca” is Bogart’s most famous role. But to tell you the truth, though I think it is a good film, I don’t care for it that much, either. I much prefer his “To Have and Have Not”. It has a bit more adventure to it, and is more light-hearted than “Casablanca”; just a personal preference.